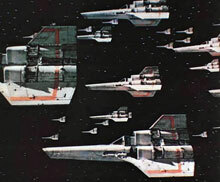 Science fiction TV is expensive to produce, and studios like to try and recoup their investments as many ways as possible, so, like Battlestar Galactica and the Planet of the Apes television series, Gerry Anderson's Space: 1999 also saw several of its episodes edited together into "feature films" for TV syndication, international theatrical exhibition and home video. There were four of these (as far as I know): Destination Moonbase Alpha, Alien Attack, Journey Through the Black Sun and Cosmic Princess. The quality of the films varies. Two were assembled by the ITC in England and some care and thought appears to have gone into their execution. 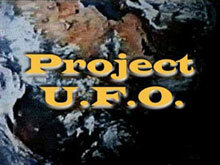 Reportedly, the other two were put together by the company's New York office, and suffer from some poor editing choices, cut-rate titles and the addition of some bad library music or mismatched musical cues from other Gerry Anderson shows like Joe 90 and UFO. 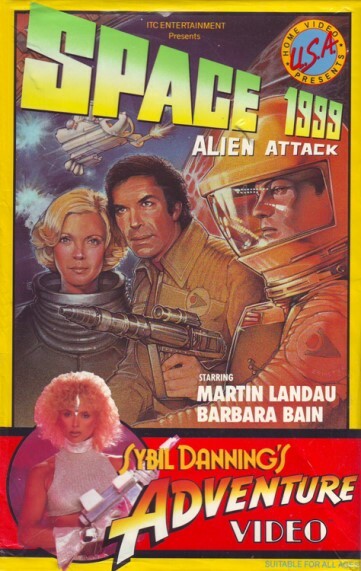 Living in Maine during the Eighties, where the series did not air in reruns, there was no other way for me to see any Space: 1999, except for renting the VHS tapes that U.S.A Home Video released under the "Sybil Danning's Adventure Theater" label. This was intended as a companion line to their Elvira-hosted horror tapes, with the statuesque B-movie starlet wearing odd costumes and giving brief, goofy intros to the films. 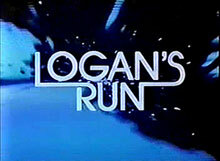 It was in this format that I saw Destination Moonbase Alpha (my first real exposure to second season 1999, in fact) and Alien Attack. After the jump, I'll break down which Space: 1999 episodes were edited into which movies, and show the trailers created for each. And, finally, also from the U.S. office, there's Cosmic Princess, made up of two of the better second season installments "Metamorph" and "Space Warp." 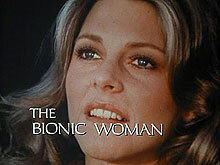 there is also a italian movie, released in 1975 with a new score by Ennio Morricone. As a boy, in 1975-1977 SPACE:1999 was my favorite tv series, I was fortunate that the Boston tv stations carried both seasons: Season 1 WCVB 5 and Season 2 WLVI 56. 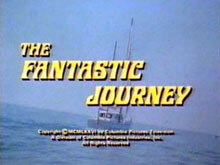 Chris , you didn't get to see SPACE:1999 Second Season in 1976-1977 first airings? Why didn't your Maine tv station carry it? You must have been very disappointed as a boy in 1976. I can see why you jumped at the VHS chance to see these derived movies in '80s. 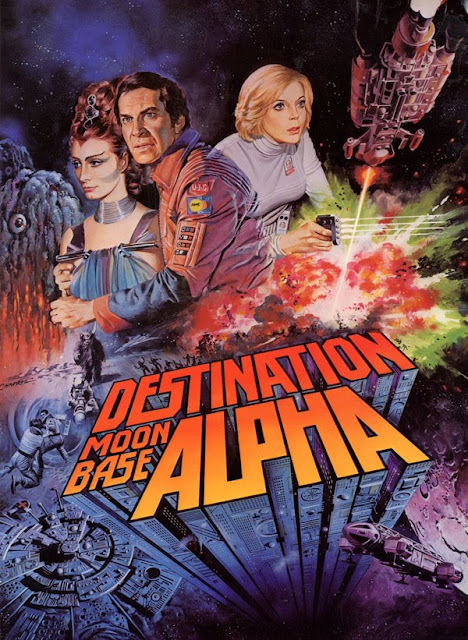 The poster at the top of this post for "Destination: Moonbase Alpha" is absolutely gorgeous....if I could ever find a nice print of it I'd have it framed and put up on my wall in a second. The likenesses are spot on and everything you'd want except the proper name of the series is in this image! Thanks for posting the larger image Chris, I've definetelty grabed a copy for myself, new desktop I think! The poster for "Destination: Moonbase Alpha" was created by Tom Chantrell who also did a star wars poster in 1977. There is a Space: 1999 comic series in the works right now called Space: 1999 Aftershock." It tells a story of what takes place on Earth when the moon is blown out of orbit. 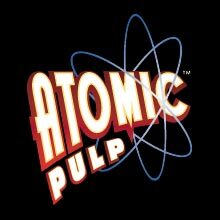 One of the artists is posting works in progress on deviantart.com and it's looking cool so far. 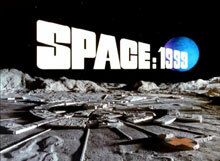 Space 1999 was broadcast in South Africa in the Afrikaans language as "Alpha 1999" - This was the defining Space Fi movie for me - from their mini video communicators to their evolved hand-gun style lasers and comms pillars - a surreal and realistic if not somewhat foreboding dark atmosphere seems to perfectly describe lunar Life - Ranks ahead of Startrek Season 1 followed by Battlestar Galactica (with Lorne Greene)for me - NOTHING compares! 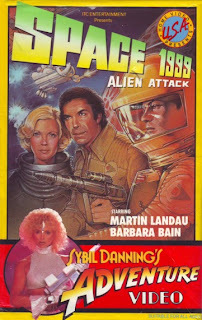 Actually, "Destination Moonbase Alpha" was released by CBS/FOX video, and was not part of the "Sybil Danning's Adventure Video" series. The two that were released under that banner were "Alien Attack" and "Journey Through The Black Sun" ( I still have my copies ). 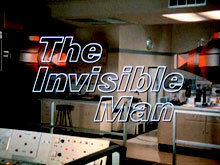 When "Space:1999" was released on laserdisc by J2, the two parts of "The Bringers Of Wonder" could not be included because the rights to "Destination Moonbase Alpha" were still owned by CBS/FOX. To my knowledge,"Cosmic Princess" was never released on home video in the U.S. Of the two features assembled by ITC New York, "Princess" is the better of the two. 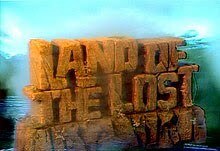 Despite the editing ( which is fairly well done ), and the redubbing of the alien pilot's voice ( which is just plain awful ) it 'kind of' holds together better than "Journey". 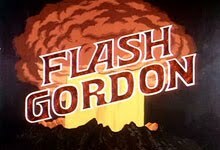 Also, although I'm against dropping in music that wasn't written for the shows ( which is just plain random and awful in Journey" ), I do find it interesting to hear Barry Gray's cues for year one with the footage from the year two episodes. In my opinion, they actually work fairly well and add a touch of continuity between the two series ( your mileage may vary ). 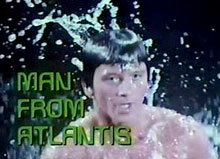 Was "Alien Attack" or at least the newly made footage included in any of the DVD/Blu Ray releases as bonus material? What a pity. I wish the studios would put a bit more effort into their catalog releases. They used to, but not anymore. I just received the Series 2 Blu-ray preview disc containing Bringers of Wonder parts 1 and 2 as well as Destination Moonbase Alpha, really looking forward to checking them out over the next few days.